Have you ever seen someone and think: how have they been able to change careers so easily? Are they just good at everything?! Making a career change can be completely daunting. It’s scary to hop into a new job or an interview in which you have little to no experience in. It is possible to change career successfully, and that’s what we are going to discuss in this post. I asked the question on my Instagram story the other week and so many people told me they are itching to change careers. They just don’t know how! I felt overwhelmingly happy that so many people were identifying what exactly they needed to be doing to make a positive change in their life. That in itself is not easy. When I was chatting with you all on Instagram, I realized I could really help you all! 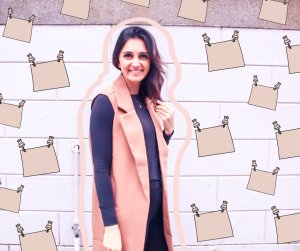 I’ve already made a few career changes – without even realizing it (lol!). 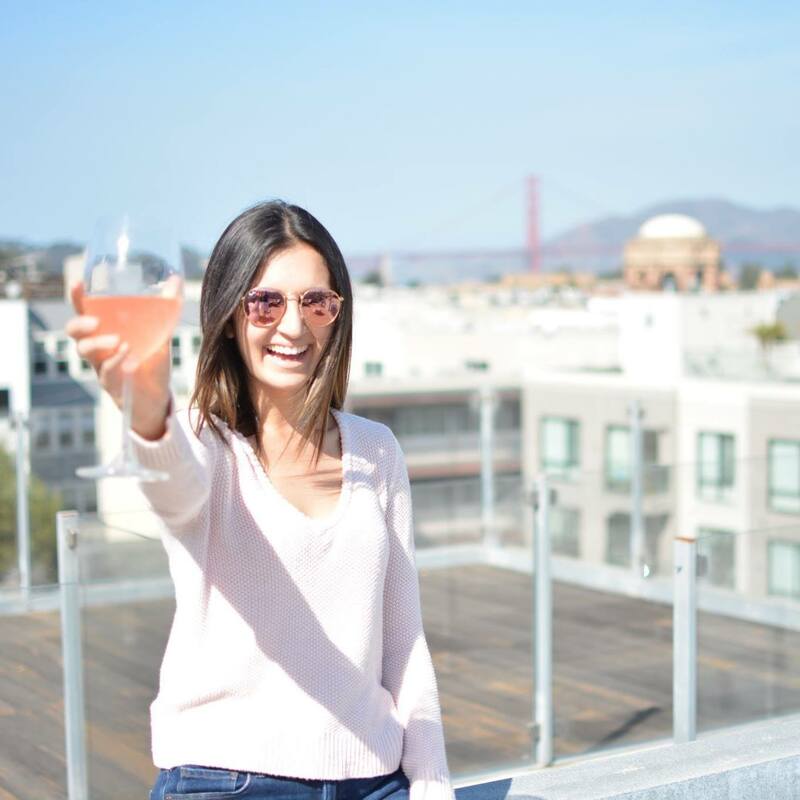 Although I’ve generally stayed in the same vicinity of ad sales, I originally worked at a blogger network selling ads, moving to work in strategy for an app advertising and then eventually went to a silicon valley company to do PPC. 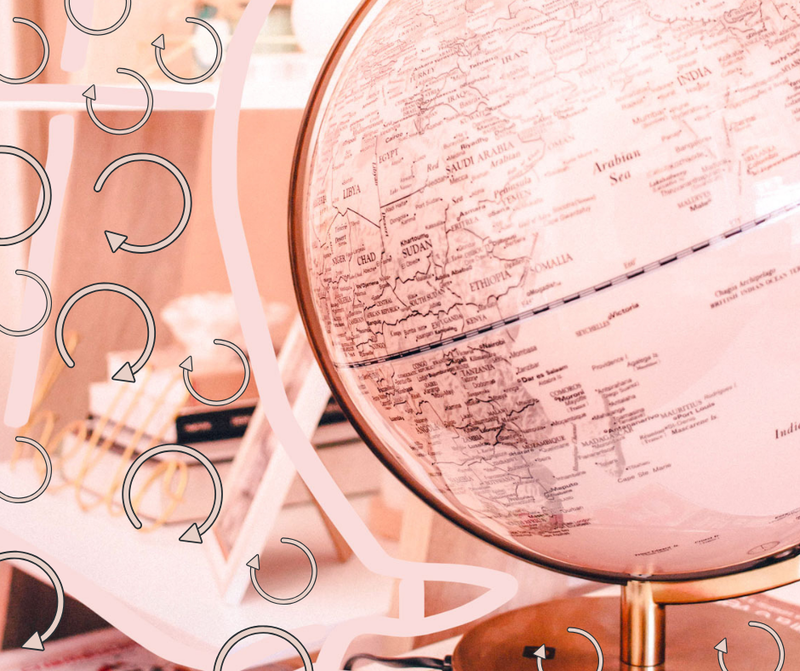 Some might think these jobs are wildly different, but I was able to understand the TRANSFERRABLE skills and easily get jobs in a few different areas. You can do this too. Don’t feel weird if you are realizing it’s time to switch careers. I think changing careers, or the industry you work in – is completely normal. Seriously. How are you supposed to know if you like something before you try it?! You’re not. 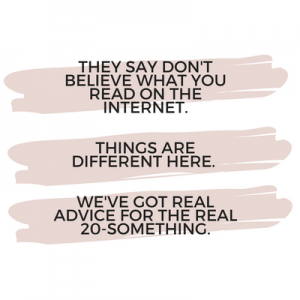 That’s why I feel like your twenties are the perfect time to make a career change. We’ll go through the steps you need to take on your end to make a career change. In a nutshell, it comes down to understanding the new career, and positioning yourself in a way where a hiring manager can say, “wow, she could totally do this job”. I know (and I’m sure you do too!) that you can already do whatever job you want. You are capable. You are smart. We just need to make sure that everyone else can see that too. If you are trying to switch jobs, you first need to figure out what you want to do with your life. If you already know? Great! Skip to the next section. I’ve written an entire post on this (it’s one of my most read posts actually and offers some good insight!) 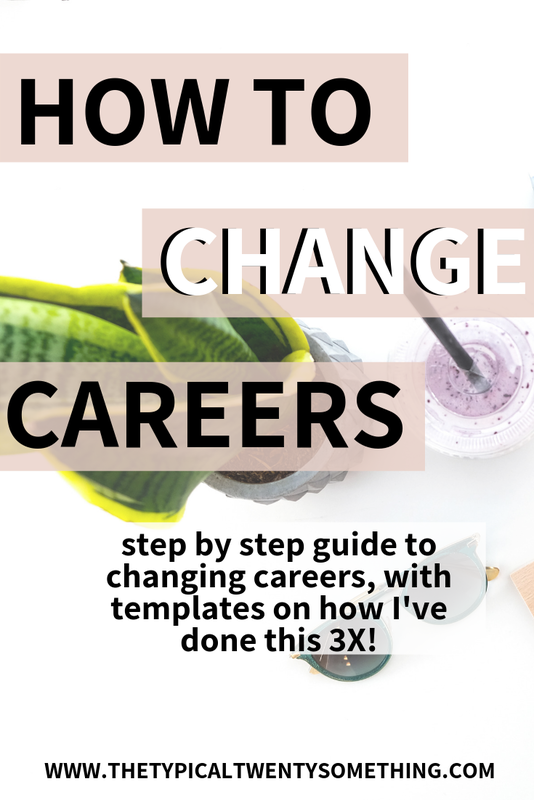 on the three questions you need to ask yourself if you want to change careers. Read it here! What do you like about the first question!? Think about: what jobs embody these next steps and qualities? Part of making a successful career change is understanding what you will be doing in your new job. Or thinking what jobs you can even do in your new career! First, start Googling, “entry level jobs in X industry” and try and understand what type of roles you can take on. I just did a quick Google search for “jobs in ad sales” and there are a ton of results that come up. 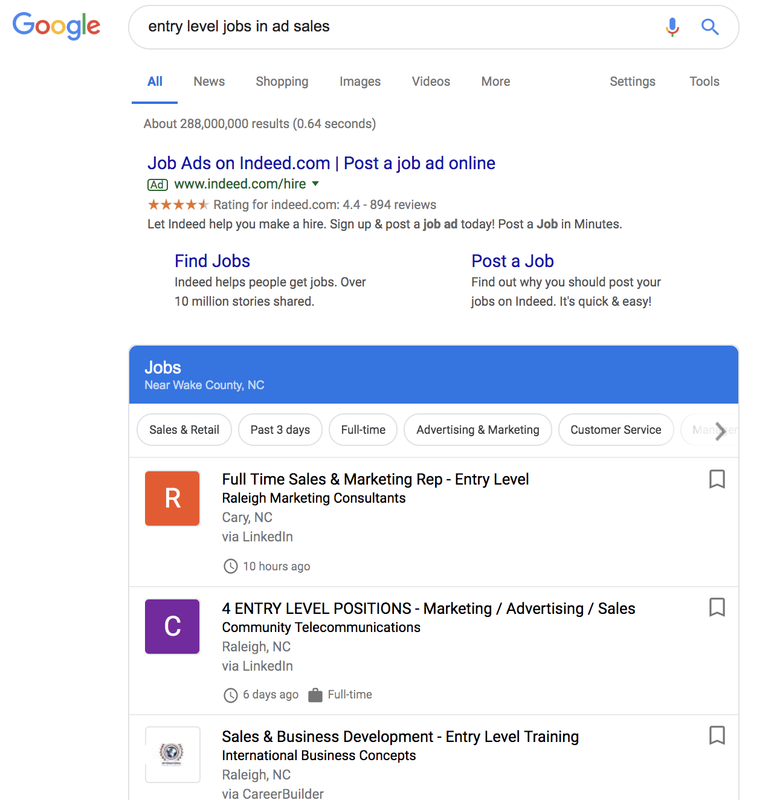 Google actually sources job posting in its results, so you can get an idea of the titles there. After you have the job titles of the types of jobs that you could get in this industry, write them down. In this case, the job titles are called: sales and business development, marketing rep, sales rep, etc. Once you’ve done this, figure out the types of companies you might want to work for. You can also do a google search for this. Let’s do it together! 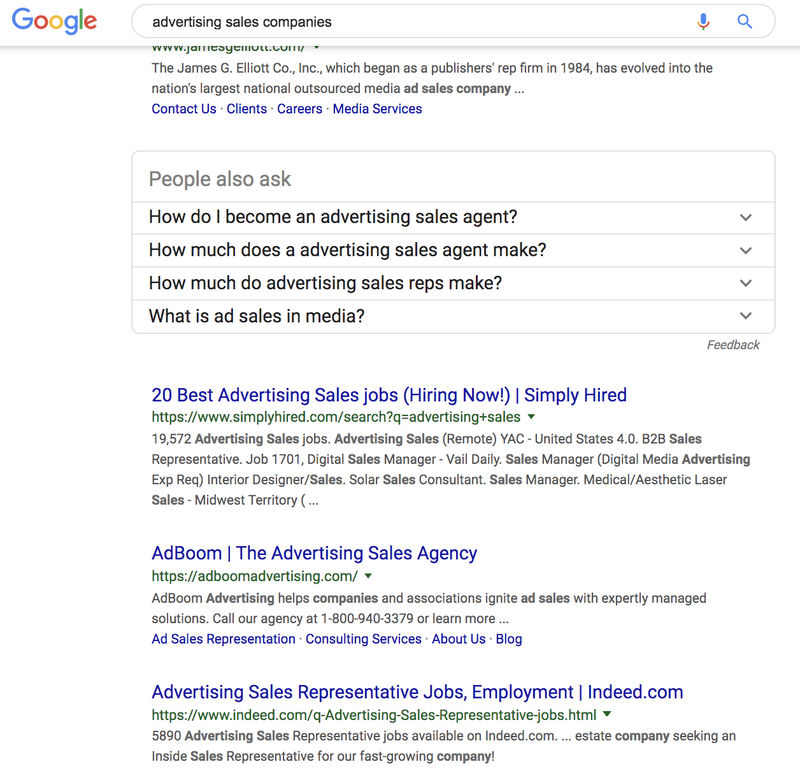 From the quick Google search, you can find tons of ad sales companies (or companies that sell ads). Take some time and look at the job descriptions for these jobs on LinkedIn. You want to do this for 5-10 jobs, and start writing down what common themes of skills the jobs are asking for. Do they all ask for a certain number of years experience? Understanding of a certain system? You want to ensure that you can either position your past experience to fit into this new experience, or acquire those skills. Let’s say this job requires knowledge of excel. You can take a class for it online! Learn this so you can speak to it in your future interviews. After you understand what skills you need to get a certain job, go out and find people in that job – at the companies you want to work for. Look for their past experience! Understand what skills they have on LinkedIn. This will help you! Next, start networking with two groups of people: people in the job you want, and recruiters of the companies that have those jobs. Start messaging people on LinkedIn in the jobs that you want, or even slightly higher up. Ask them for coffee or a quick phone chat! Say you want to move to their career and honestly, they will probably be willing to talk to. Do your best to get a great understanding of what experience, skills and types of questions will be asking in interviews so you can get a great understanding of what you need to do. Next, start reaching out to recruiters to see what jobs are your level at some companies. Recruiters get paid on placing people in jobs, so they are incentivized to help you out. If you need help getting in touch with someone at another company, READ THIS POST!!! It’s my secret email template for getting in touch with ANYONE at any company!!! Once you’ve connected with recruiters on LinkedIn, ask for an informational interview! Try getting in touch with interviews who work AT companies and who work at recruiting firms, both will help you. Reach out to both types of recruiters for informational interviews and come prepared – use this opportunity to ask what the day to day in the job would be like, and what skills you will need to get these jobs. What type of skills do you suggest acquiring before interviewing for these jobs? Then ask, what gaps do you see in my current resume that would stop you from interviewing me? This feedback is great! If there are specific skills, degrees or classes on need for a new job, acquire these skills. Some jobs, like in medical or teaching, require certain degrees. Start coming up with a timeline to get these skills before interviewing! When preparing for your interview, come up with your transferrable skills. Don’t pretend that you have tons of experience in a certain field, just talk about what skills you already have that are transferrable. people like new perspectives, so lean into that. Share what you can teach a new team as a result of your past experiences. Let me give you an example, if someone asks me how I will do well in a job in which I have no experience, I find several examples of my past experience where I learn something complicated quickly. I then give examples on how I’d learn this role quickly. This proves to the person hiring that you will be able to learn the job. When someone asks why they should hire you, make sure you have a solid answer! You’ll probably need to vocalize this more than normal when convincing someone to hire you for a job you have no experience in. No get going, and start applying for jobs! 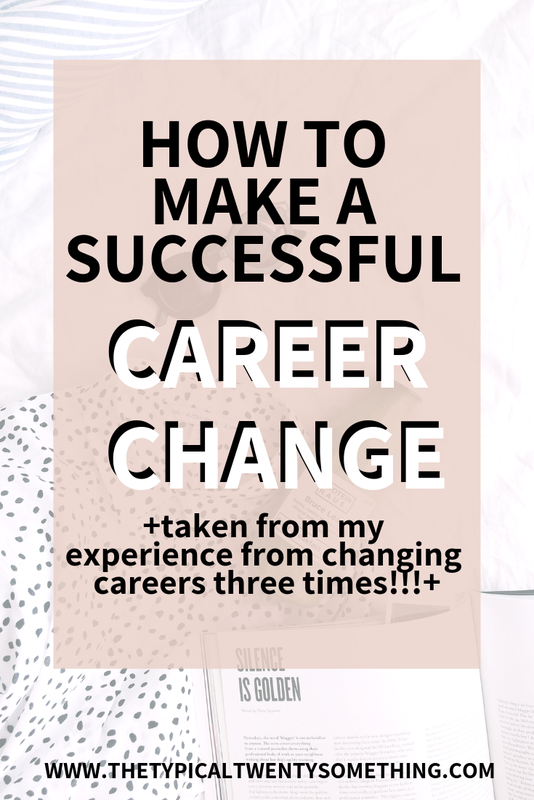 I know you can make a career change with these easy steps. I’m so excited for your next adventure. Switching jobs, and getting to do new things have been SO much fun – and has given me such a wealth of experience, it’s all about framing. Practice how you are going to position yourself in advance and you’ll be all set – you can switch careers in no time! For your next read, figure out how to create a resume with no experience! If you want to get really crazy, learn my secret for getting in touch with someone at ANY company.